Started on this model about a week ago. It's another JSSG-ship-design request. As usual trueSpace gave me some issues with the rendering/texturing. I'm quite happy it's finished now though. All this modeling leaves me with very little free time during the week when I also have work. Then again... I already have another request pending. Expect something Star-Warsy-looking to pop up here within a week or two. Sometimes I wonder if I'm really sane... then I realize I'm not and all is well. And with those words I present to you, The Space Bunny! It is entirely powered by star dust. Standard Armament: 2 Class 500 Warheads + Arming System, 6 Hull Piercing Missiles, 40 Anti-Ship Missiles, 2000 Self Guiding Rockets. Finally got far enough to call this model finished. Not sure if I'd say the render or design itself is final. But for now I'm putting an end to this project. What is Mikomwood? 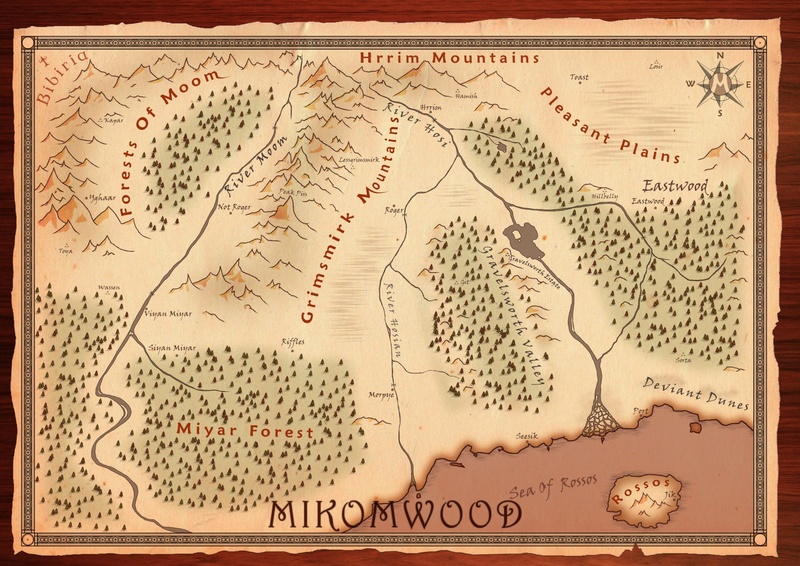 Mikomwood was a fantastical land created as an inside joke between me and a friend over Skype. Though how it actually started out was me not taking Mikomwood seriously at all. In fact I had probably dismissed it ten seconds after the creation of the name. It was my friend however who pushed me to write a story. The very next day out of sheer boredom, I did. A second Mikomwood story is in production though and I hope to post them on YouTube as well this time. That's about it, have a nice day!